Ladies and Gentlemen, I present to thee the new and revamped Edible Moments! With the same great recipes and your favorites still all in one place, but with a prettier and more user-friendly layout! Now follow me on over to the little bar underneath. Right over here ladies, come on now, don’t be shy! As you can see there is a new “about me” section, which has an ACCURATE not at all fibbed or tailed account of my life story(check it out for a chuckle ;) ), followed by a contact me page and my tasting guide which is a rating system to help all of you ladies and germs follow how I rate each recipe. Now scroll down a lil more till you see a little picture of a blue little bird that says follow me. Click on her and follow me on twitter. Go on. Do it. I’ll wait right here till you’ve done it. 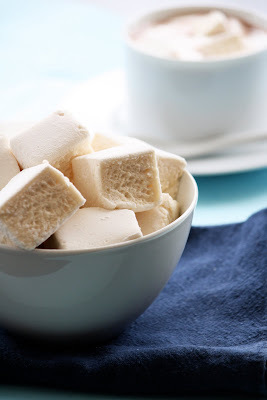 The recipe made me think it wouldn't make too many but it made A LOT of marshmallows...like ...a LOT. I filled a 13 x 9 x 2 inch pan nearly to the top and had enough to fill up another pan too! So I think they either enjoy GINORMOUS marshmallows or they made a typo. 1. 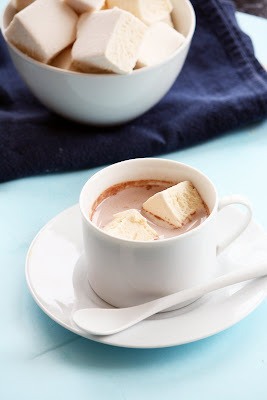 In a small bowl sprinkle the gelatin powder over ½ cup of the water. 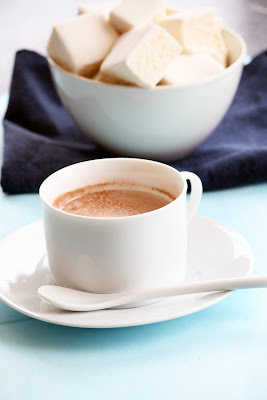 Place the sugar and the remaining one-cup of the water in a pot and heat until warm to the touch. Add the gelatin mixture to the warm syrup and stir until fully melted. 2. Pour the gelatin syrup mixture into the bowl of a large stand mixer (i.e. Hobart or KitchenAid) fitted with a whip. Add the corn syrup and vanilla and begin beating at high speed. You may find it useful to cover the bowl with plastic wrap while it beats to keep down the splatter. 3. 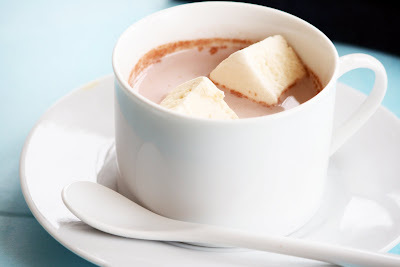 Continue beating until the mixture cools, increases in volume, and forms soft peaks. 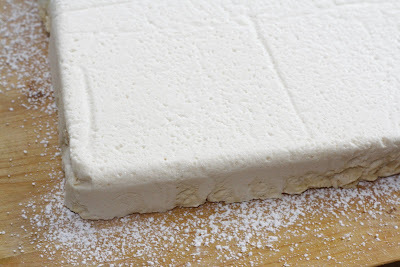 Working quickly before the mixture fully sets in the bowl transfer to either a standard hotel pan dusted with powdered sugar for later cutting into cubes or transfer to a piping bag fitted with a straight tip and pipe mounds onto a non stick surface such as a silpat mat dusted with powdered sugar. 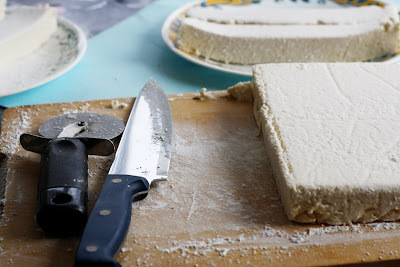 Also for cutting I would reccomend using a big knife and not 'sawing' through it but just applying pressure down ONCE. 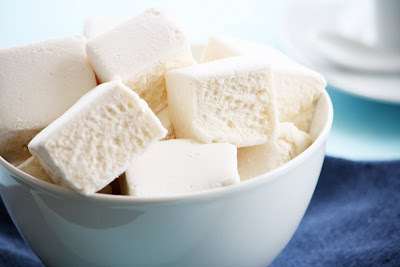 Then carefully pick up the slice of marshmallow....they tend to stretch back into themselves providing a perfect cut. Dont forget to rub the cut up sides in icing sugar too! I really loved how it tasted. 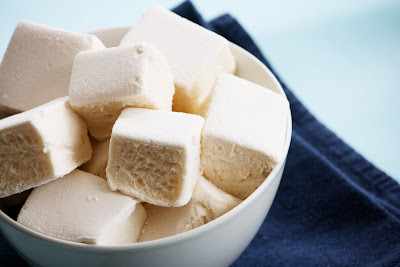 I usually hate how store bought marshamllows taste, so dry and overly chewy…*blegh* but this…THIS is how marshamllows are SUPPOSED to taste like. The best part about it is that its SO easy to make! I was actually really surprised by it…like…REALLY surprised. 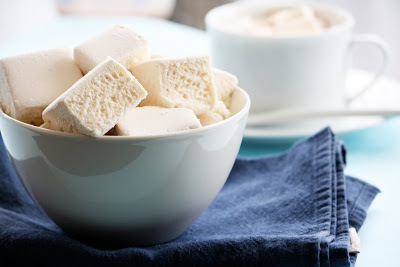 I would give this a 9 because it’s the best marshmallows I ever tasted, but they kinda stuck to everything a little too much before they were dusted with sugar…so when that’s fixed ill give it a 9. I just found your blog through a comment you left on another bog. Just wanted to say that your pictures are beautiful, and that you've got a new reader in me! And. . .I have the same problem with my blog and columns. (I started a new one yesterday). Except I don't want an extra column. I have no idea if I can fix it, or if it is possible to fix it. (I have three columns)! Damn! My memory is worth nothing- I can't remember the previous layout of your blog but I'm sure loving this one! 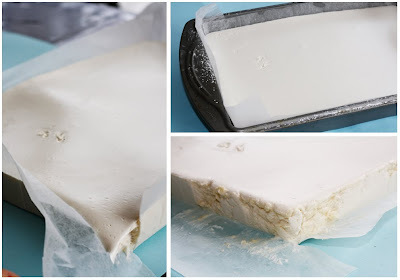 I've tried making marshmallows before and I ended up with melty squares. So I have a marshmallow fear to conquer! STUNNING photos!!!! 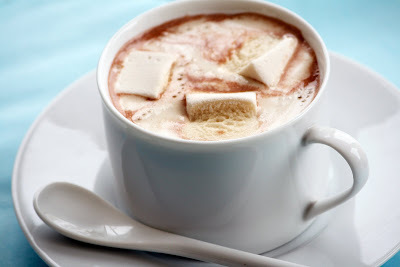 Your marshmallows look insanely delightful! Hi. I found your blog through the help section on payperpost. I read your first post and to answer your question about adding another column, you can't! It's simply the design of the template you're using, so unless you know how to write code and redo the template design code, you'll have to choose a template that has three columns. I have a few different sites, and interesting enough, the only site I ever get offers on through payperpost is my blogspot site, so who knows how they choose the blogs they make offers to. 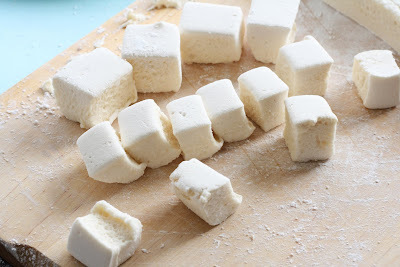 I'm curious (as I am a vegetarian) is there any way to make marshmallows without gelatin?? 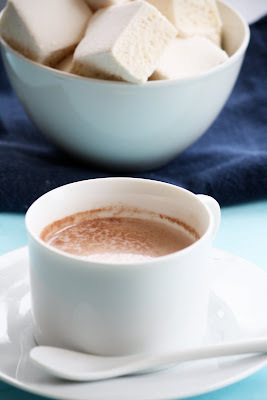 I rarely eat anything with it as an ingredient (hard to avoid sometimes) but would LOVE to make homemade marshmallows for my girls! This is a beautiful layout. Congrats. I love the font used in the post and comments section. I had a little trouble looking for the link to input a comment. I think the link should be active on "Post a comment", but it isn't. Instead, I had to click on the number of comments you had to get to this page. 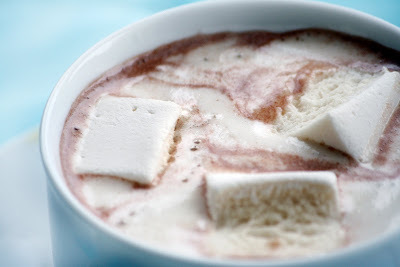 Aside from that, it looks fantastic as do the marshmallows.
" Gelatin (US spelling) or gelatine (British spelling) (used to make Jell-o and other desserts) is made from the boiled bones, skins and tendons of animals. An alternative substance is called Agar-Agar, which is derived from seaweed. Another is made from the root of the Kuzu. Agar-Agar is sold in noodle-like strands, in powdered form, or in long blocks, and is usually white-ish in color. Some Kosher gelatins are made with agar-agar, most are not. Some things that are vegan that are replacing gelatin are: guar gum and carrageenan. Only some 'emulsifiers' are vegan. Gelatin is used in photography. Although the technology exists to replace photographic film, its price is currently prohibitive and there is insufficient demand. Hopefully, with the growth of vegetarianism and veganism, this situation will soon change. " 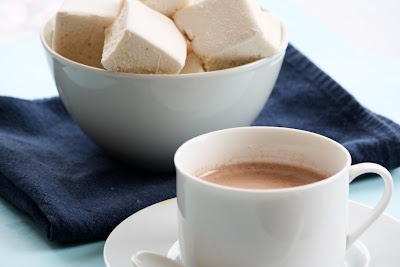 I thought your blog was lovely... very serene and the marshmallows look perfect. I made them from scratch with marshmallow and gum tragacanth. They were originally made with that or gum arabic and both are vegetable based if that helps any! 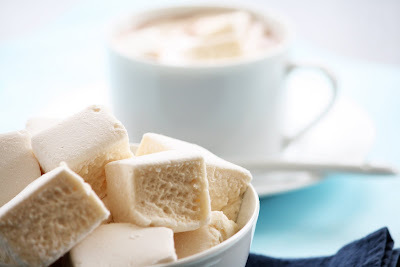 I love marshmallows and these look fabulous...kudos to your developing your own layout...well done!